Nokia is still picking up pace in the smartphone market, with the Microsoft-driven Lumias yet to make the impact the Finns have been hoping for since the strategy reset. In the meantime, the company has been enjoying a pretty easy run in the featurephone market, which is now virtually free or real competition. The Asha lineup is doing pretty well, as testified by the interest rates on this very website, but the long-term challenge for Nokia remains. Fending off entry-level smartphones and securing the future of the dumbphone kind may seem a futile effort, but the likes of the Asha 311 beg to differ. The Asha Touch interface cannot match the versatility of proper smart platforms with hundreds of thousands of available apps. However, the simple featurephone UI allows for superior performance on modest hardware. 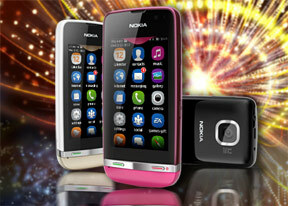 Nokia Asha 311 uses that to its advantage and promises an experience that isn't far off similarly priced smartphones. What's more, the not-too-tech-savvy users targeted here will appreciate the simplicity and convenience. The Nokia Asha 311 has no illusions about its standing in the pecking order, but it shows commitment to hard work and desire to prove to users that they're making the right choice buying it. This one is not about boasting rights or acing benchmarks - yet you can count on a reasonably fluid touchscreen experience, solid connectivity and an app store. Ready for the Nokia Asha 311? Join us after the break for the unboxing and hardware checkup. No plz dnt take dis phone! First of all der is no anderoid n second it hangs frequently n extremely costly!! Sir,I have Nokia 311.Always I used to download any documents or applications,but the set does not support it.How can solve my problems?